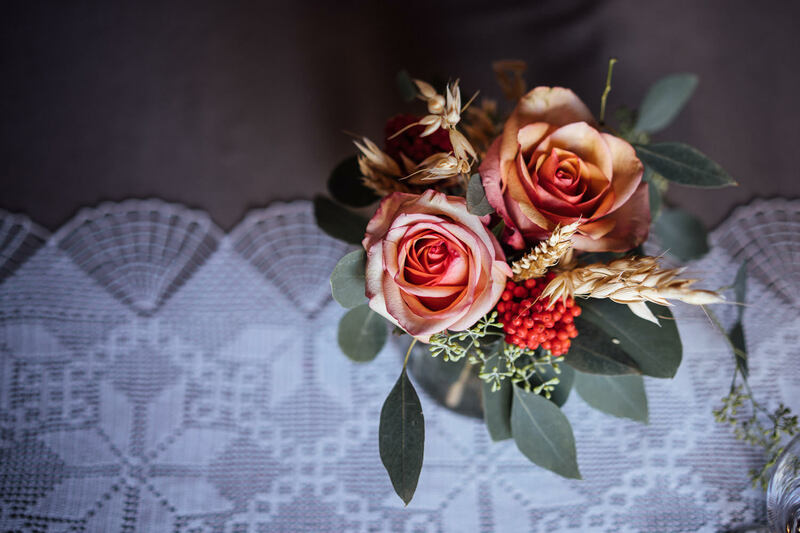 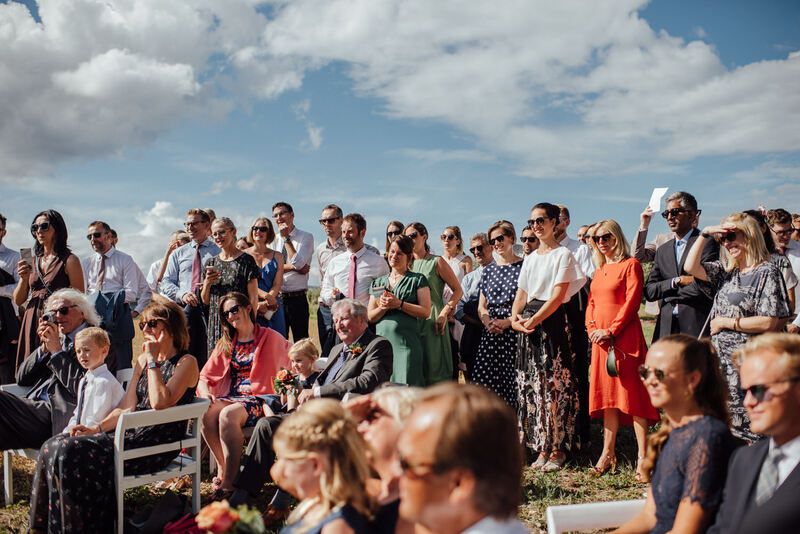 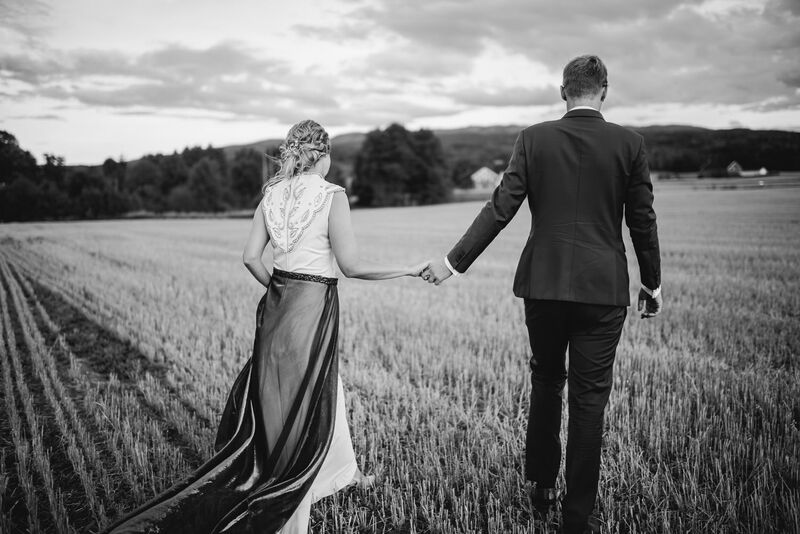 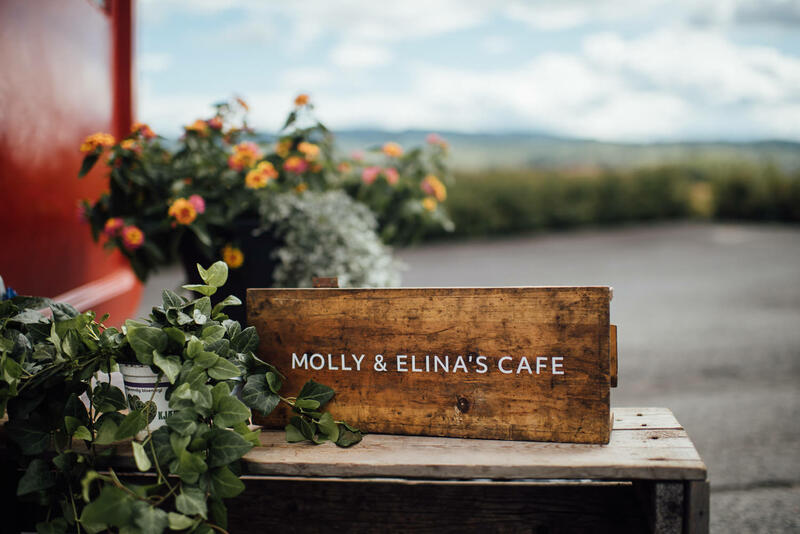 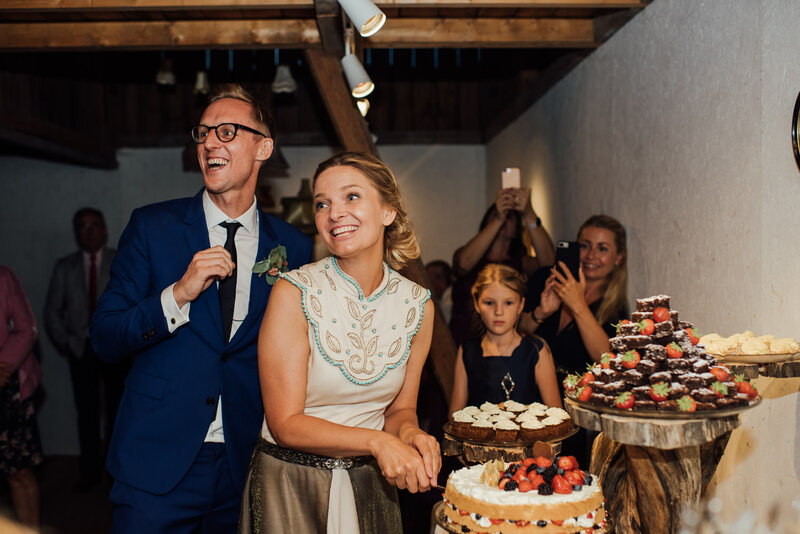 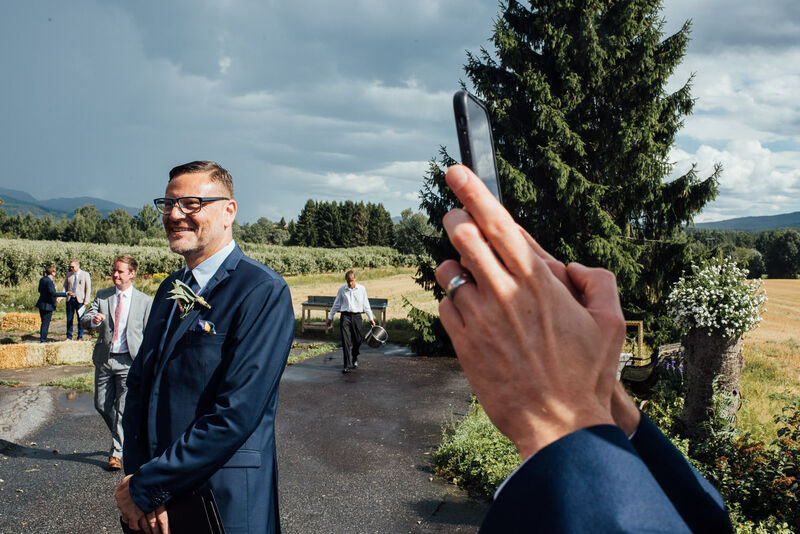 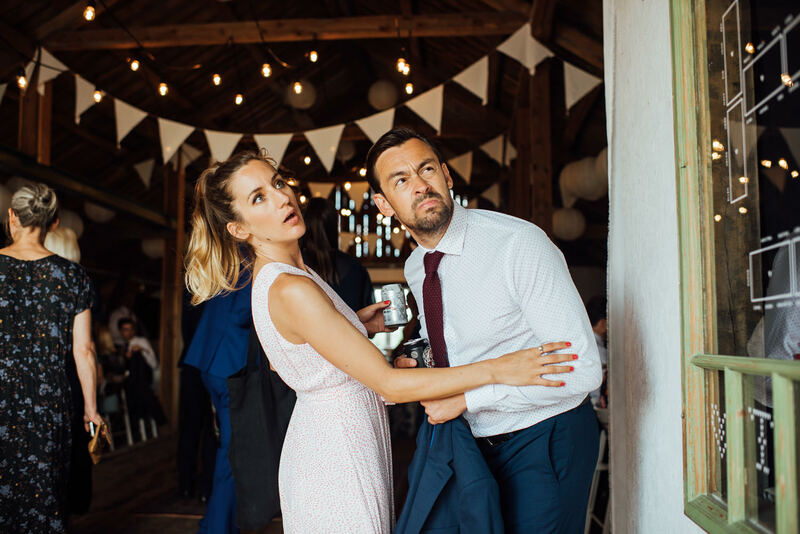 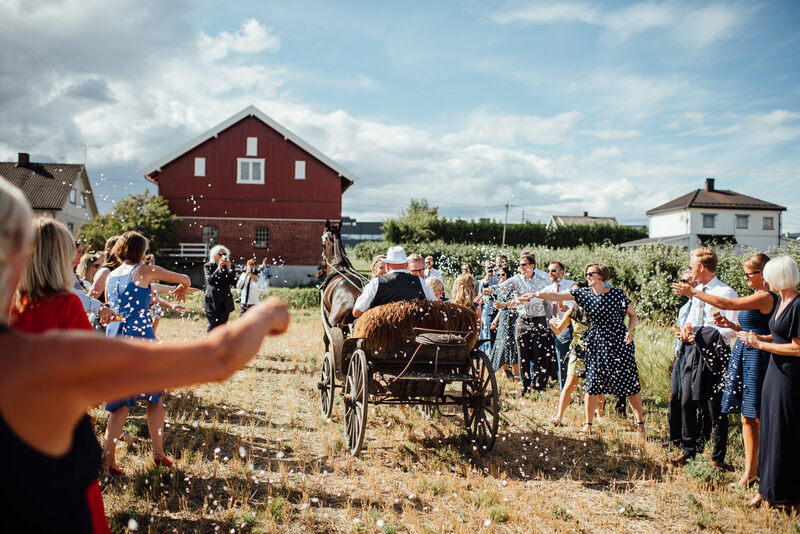 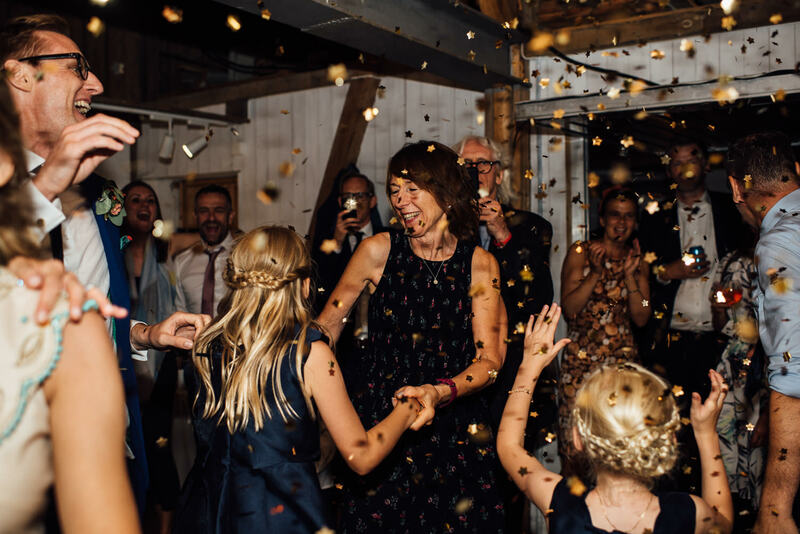 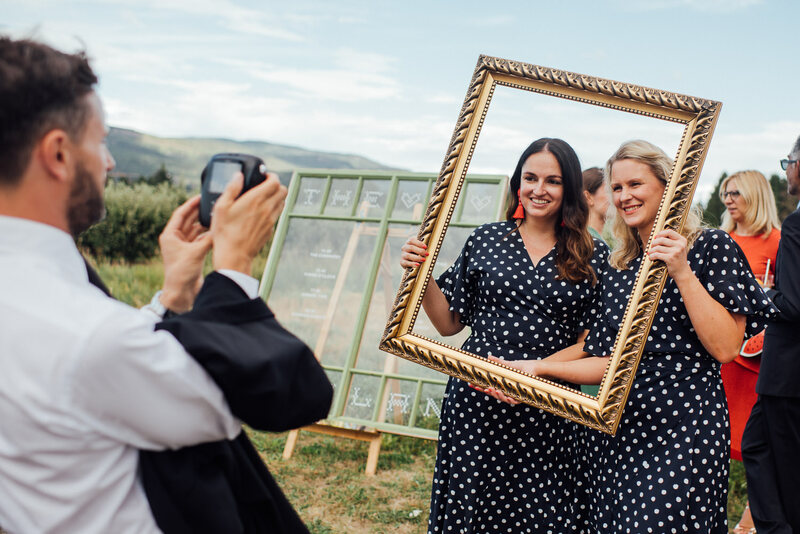 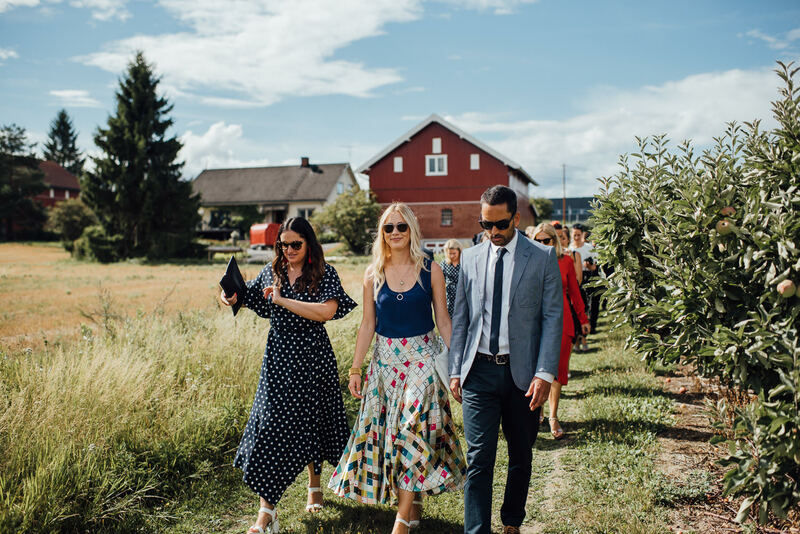 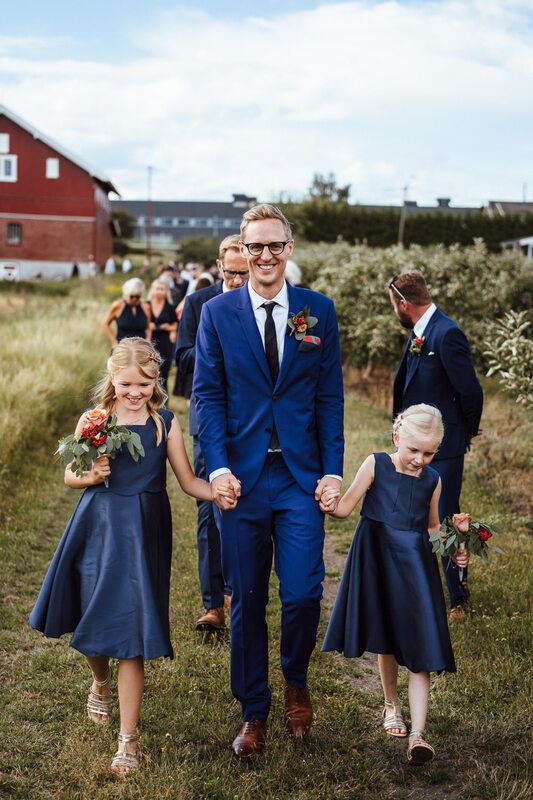 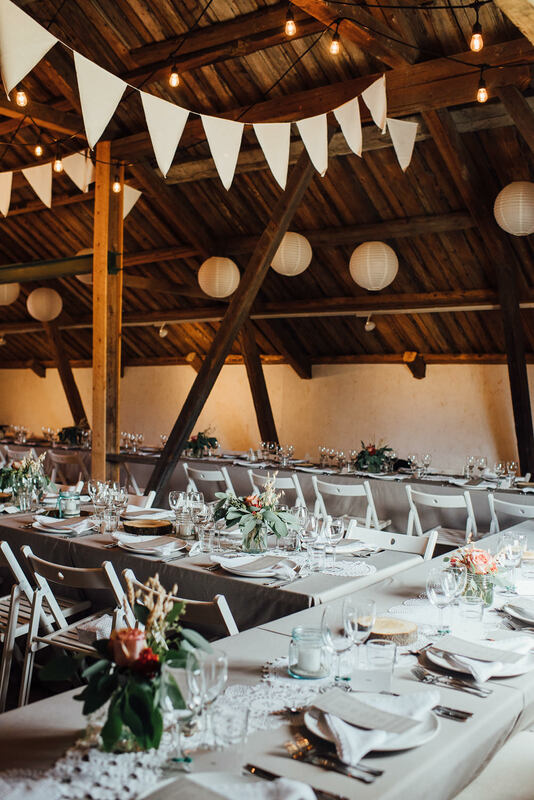 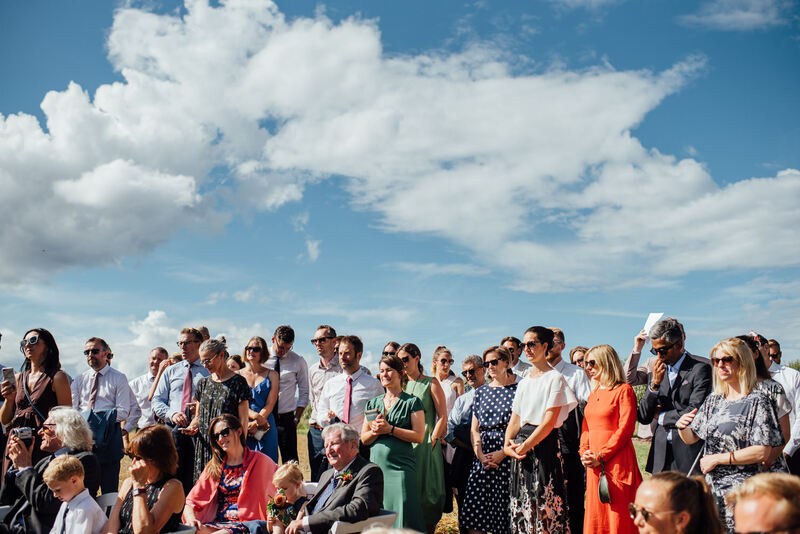 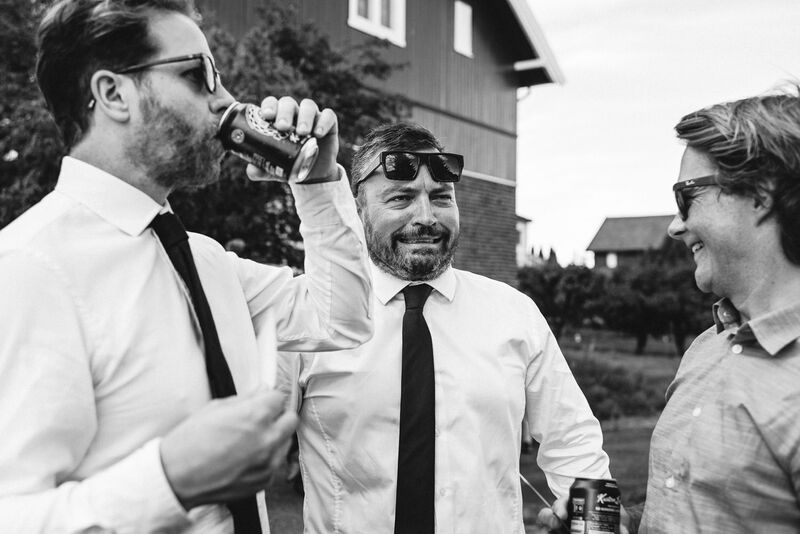 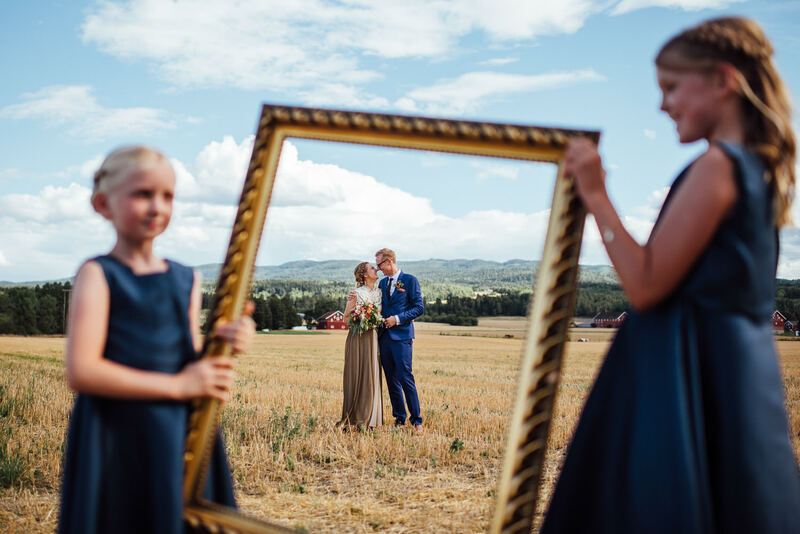 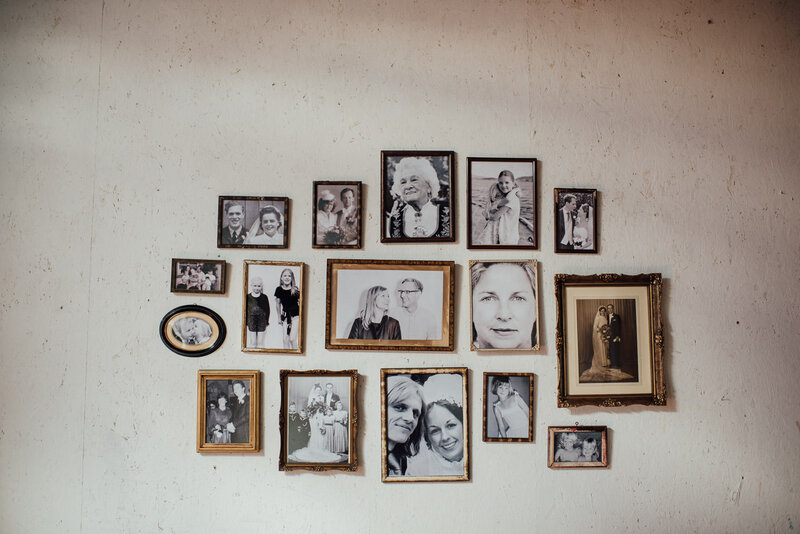 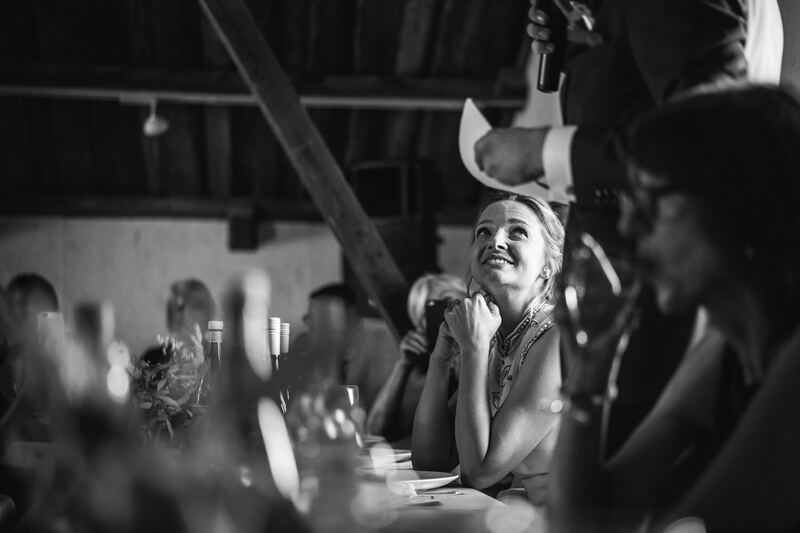 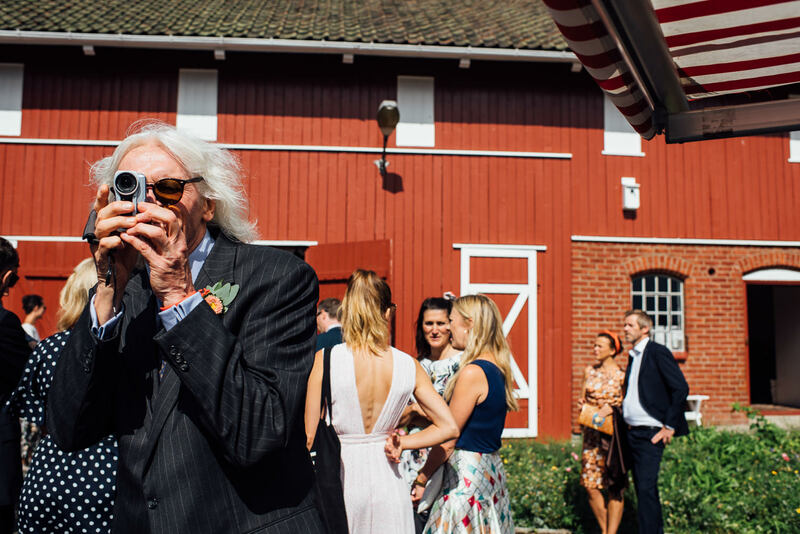 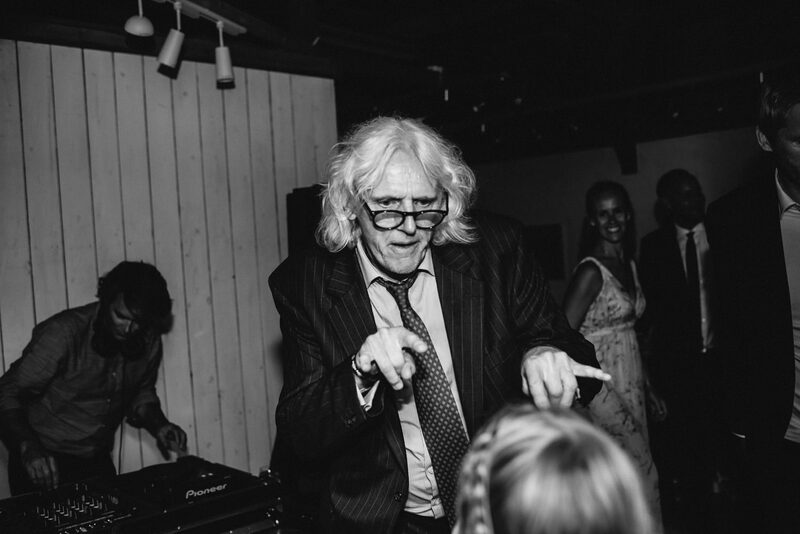 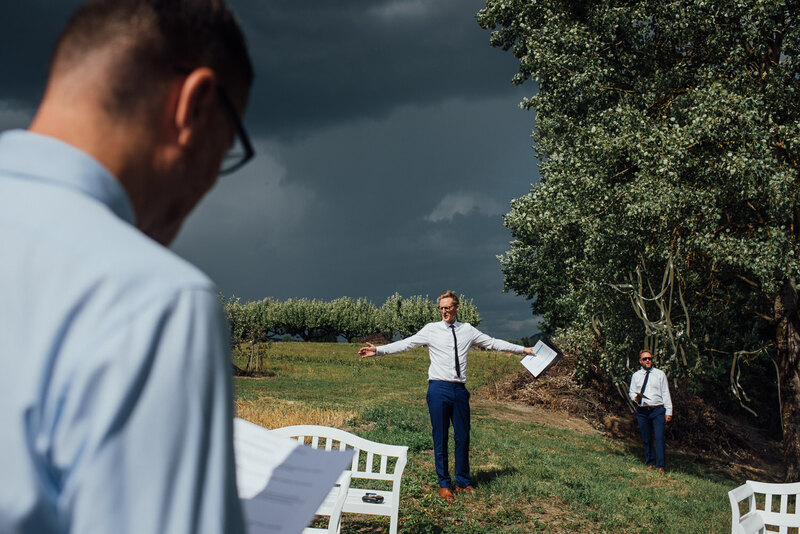 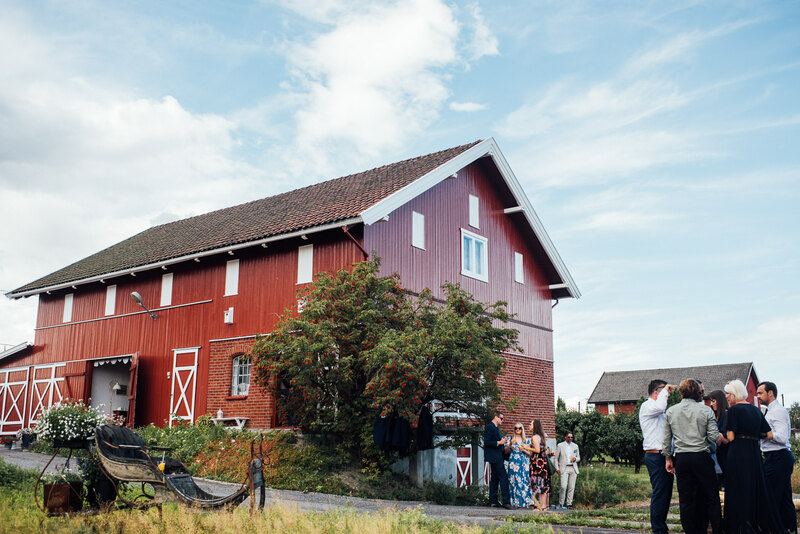 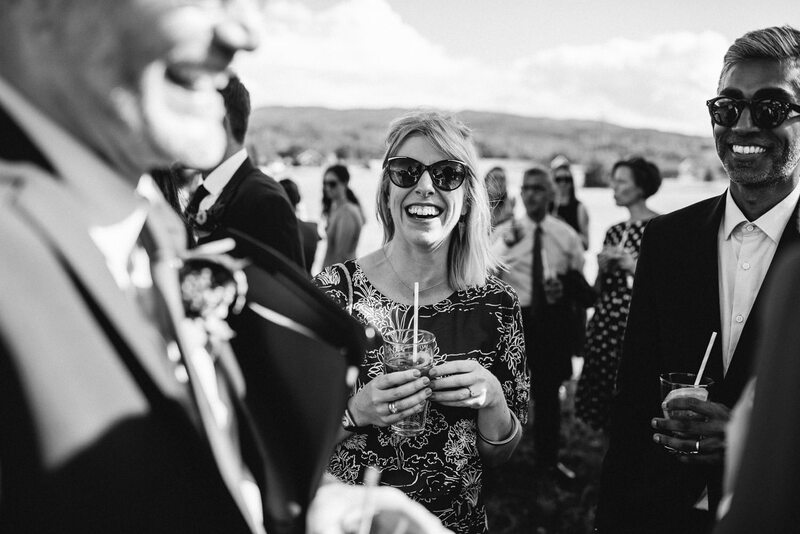 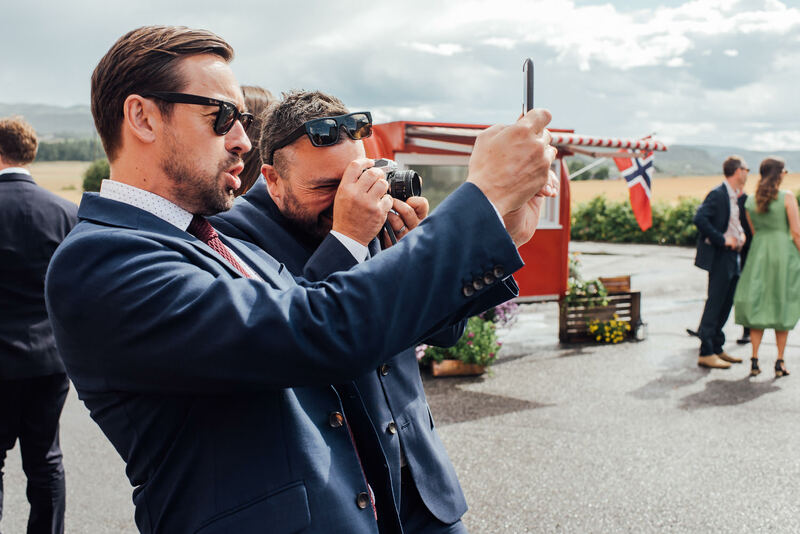 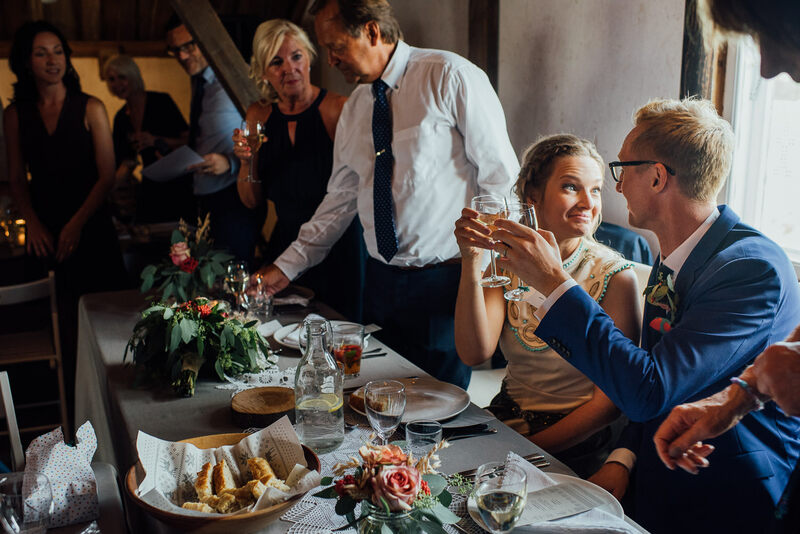 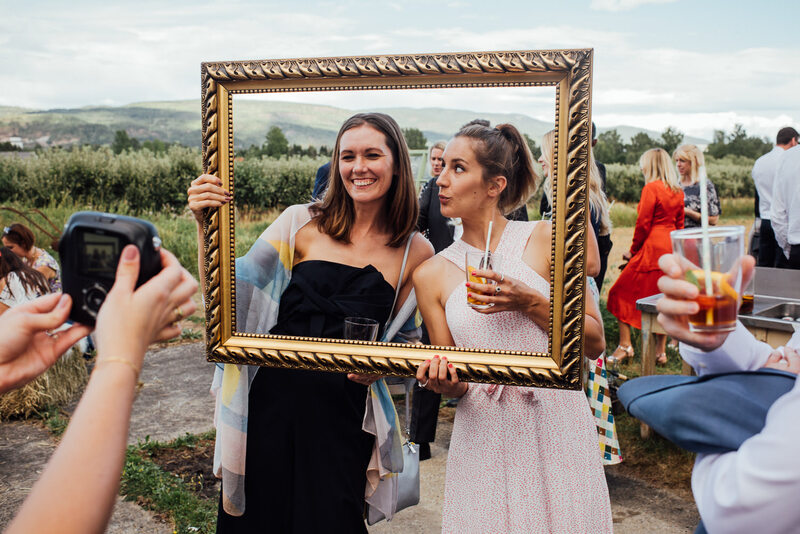 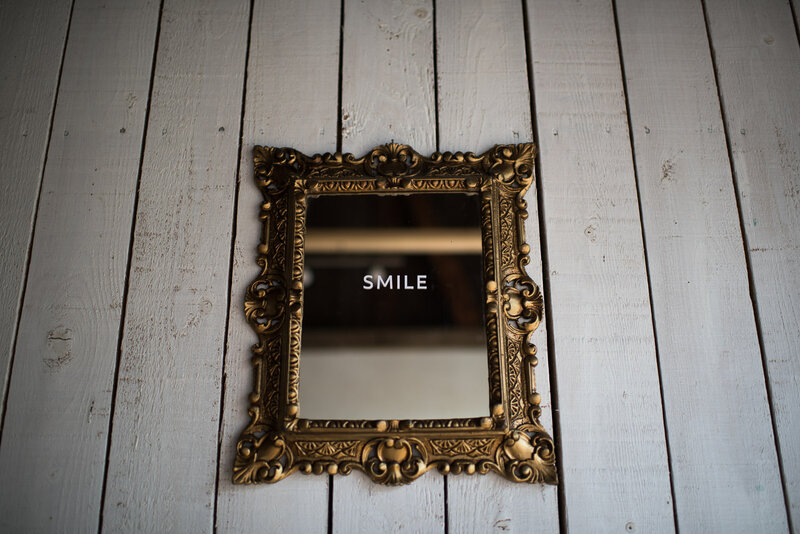 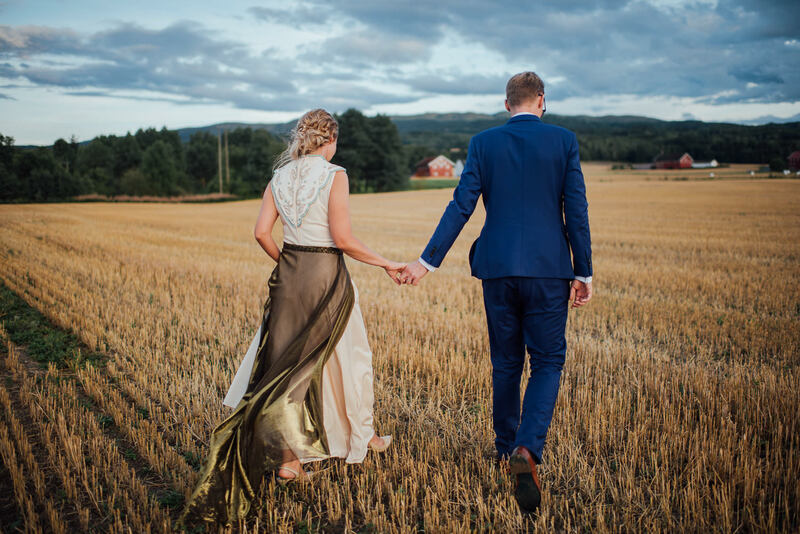 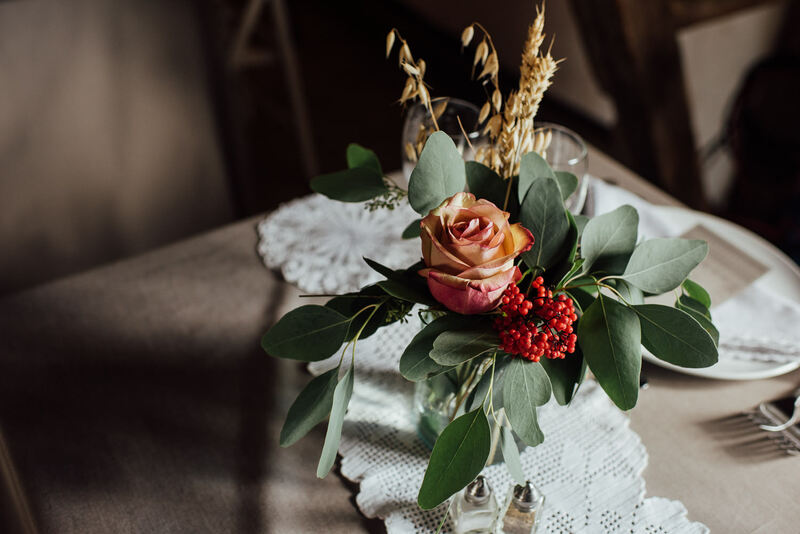 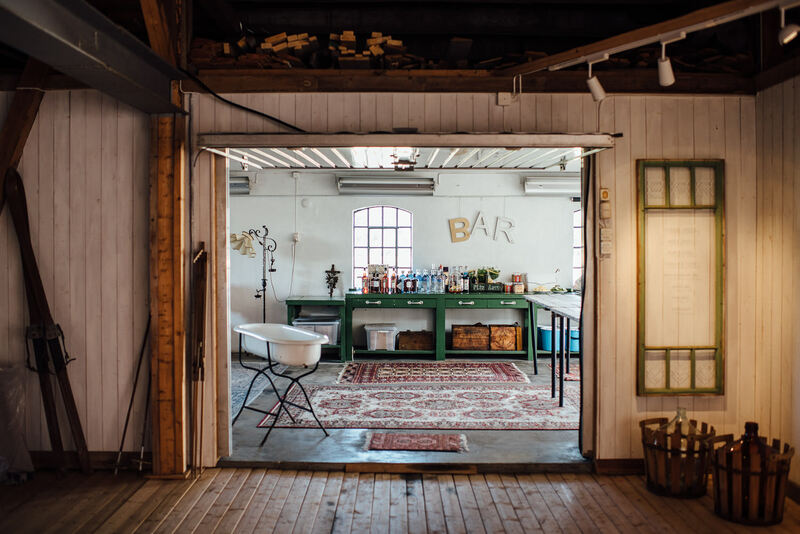 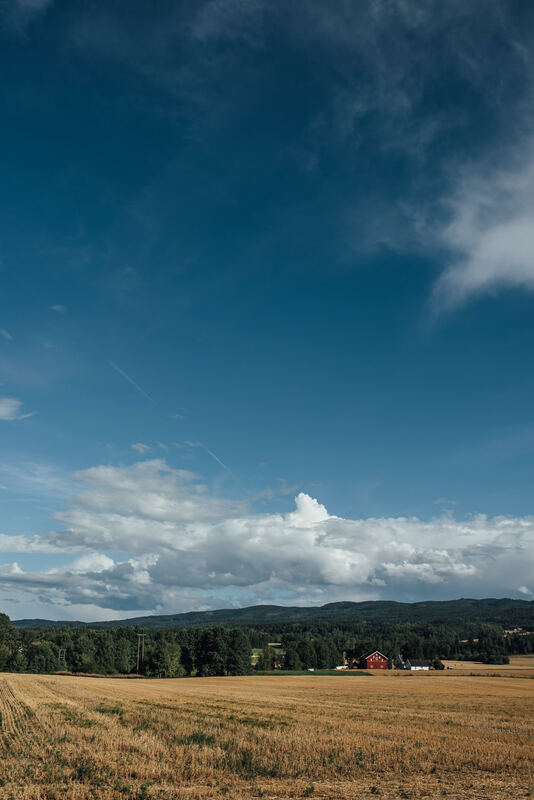 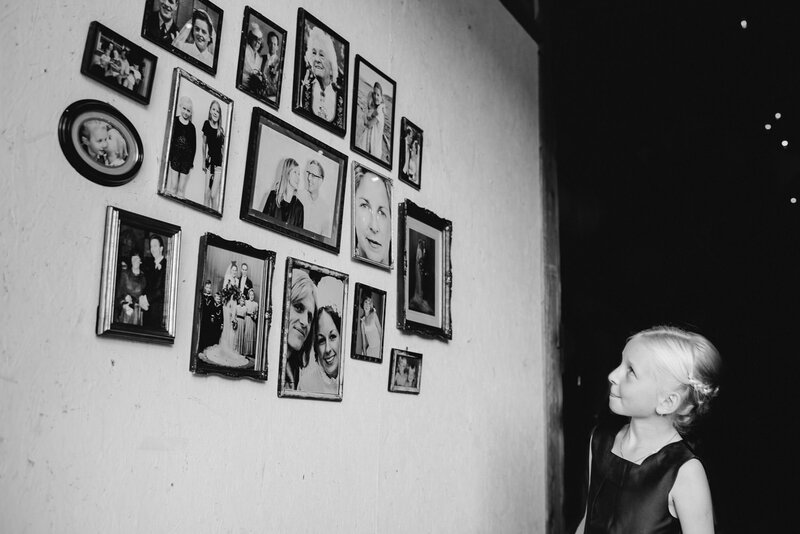 A Norwegian barn destination wedding… just outside Oslo…with a reception in an art gallery you say?! 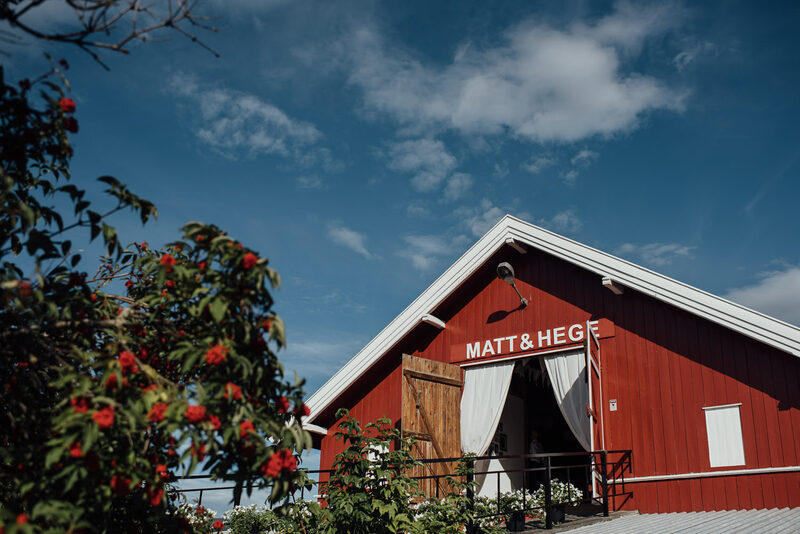 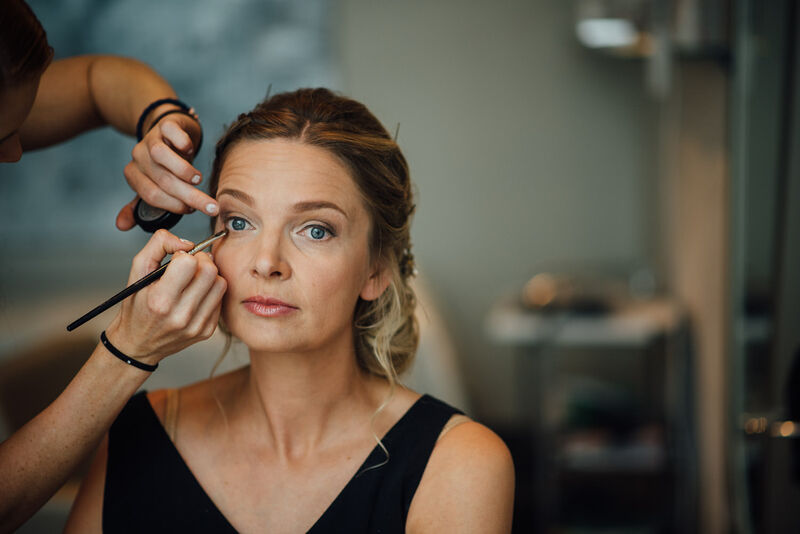 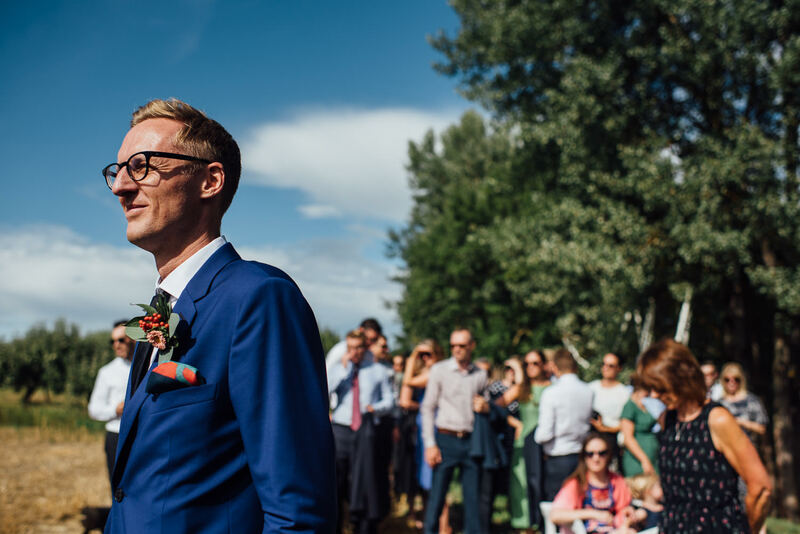 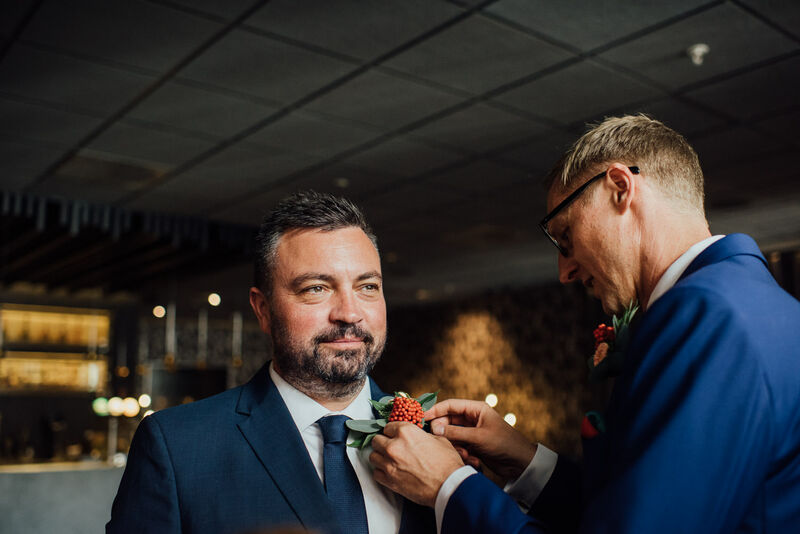 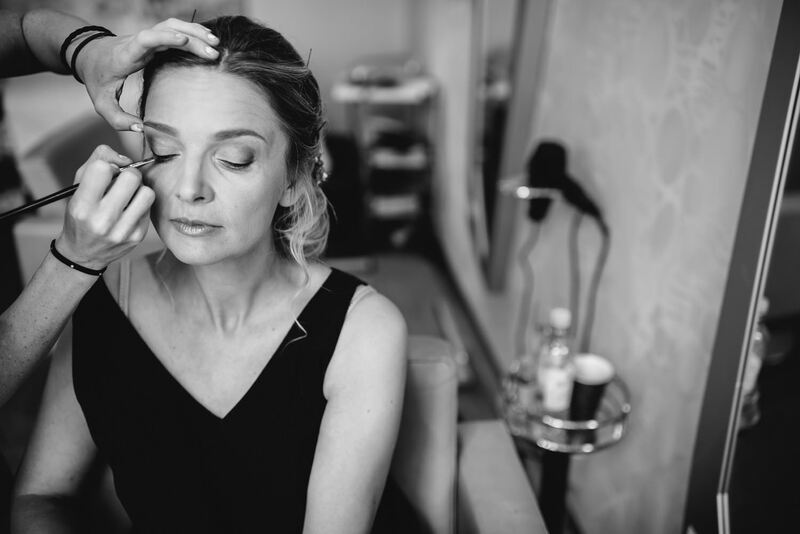 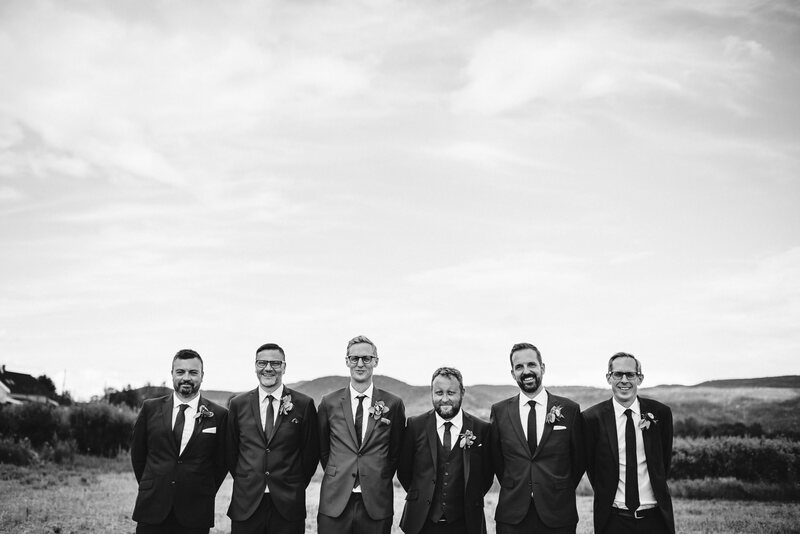 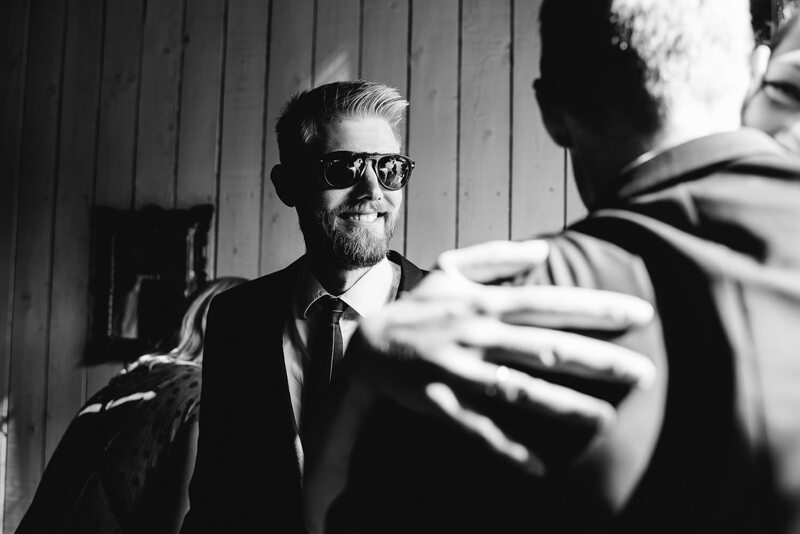 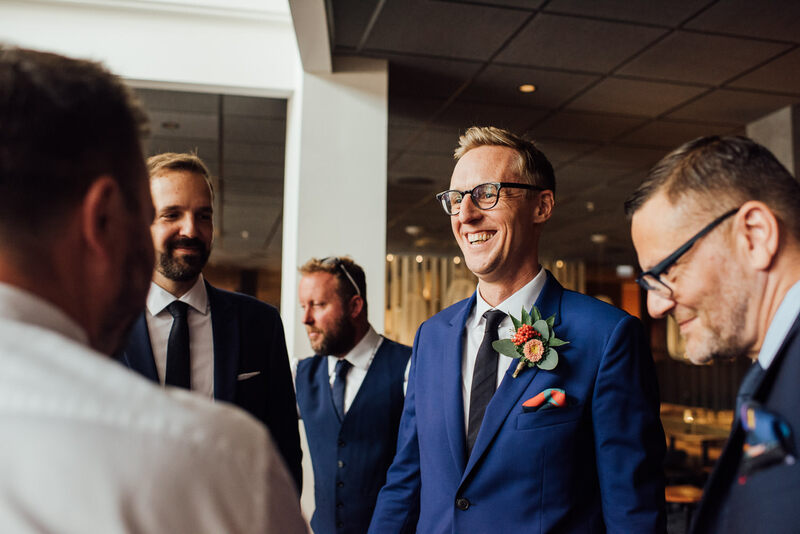 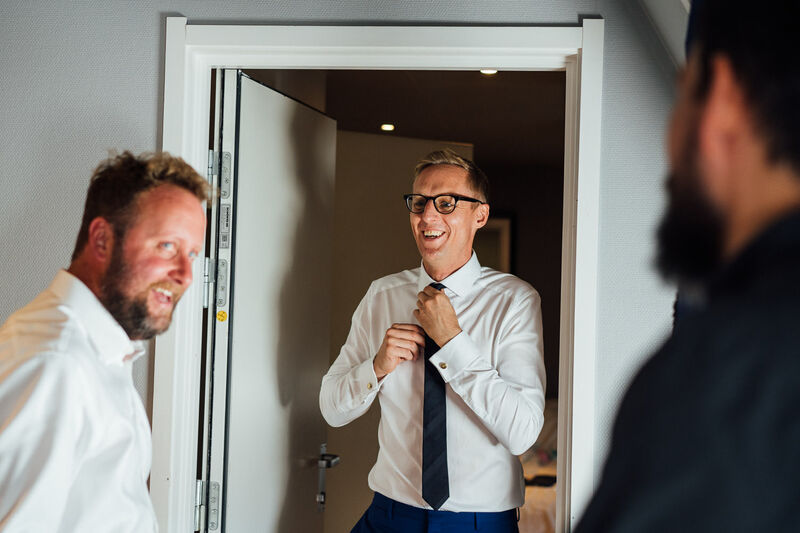 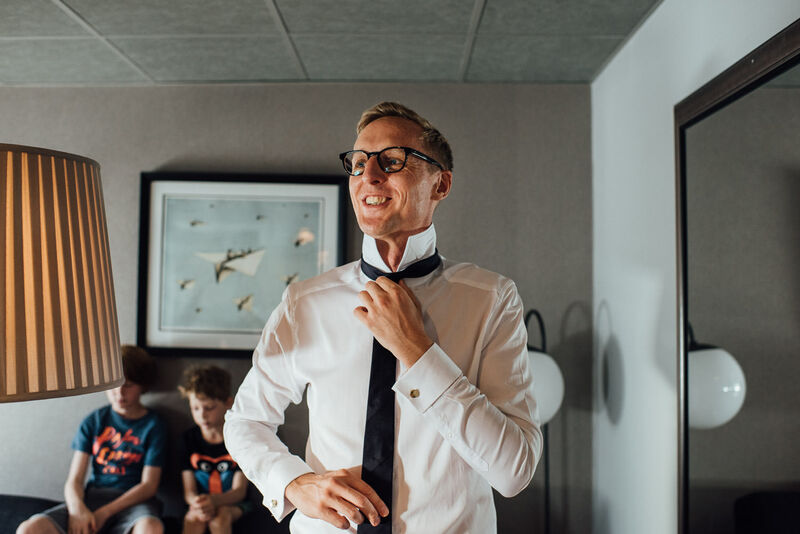 When we met up with Matt and Hege to chat through their wedding it was clear that this was going to be something special! 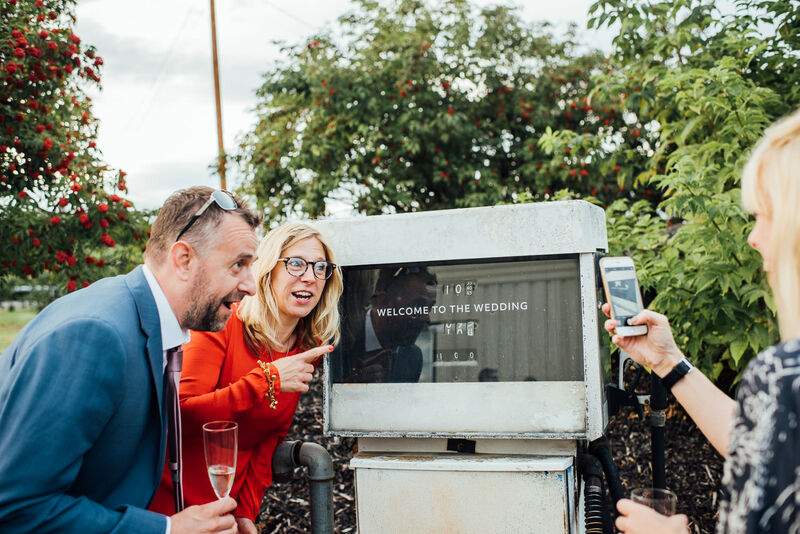 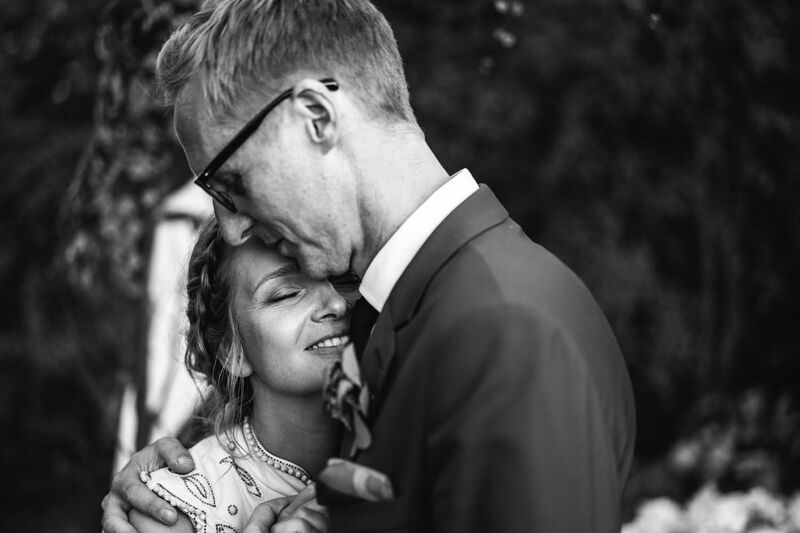 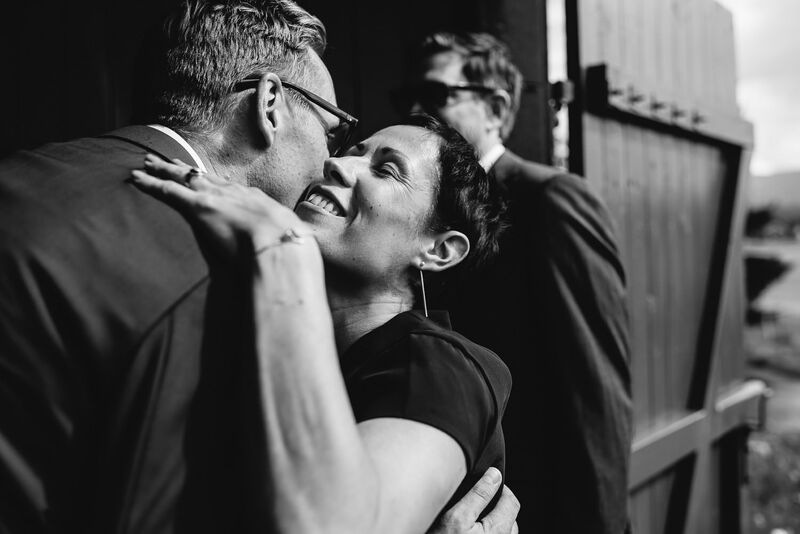 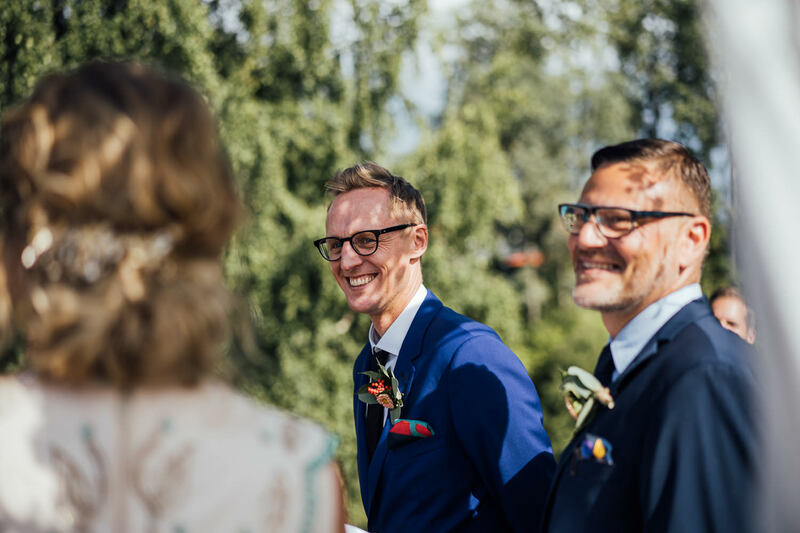 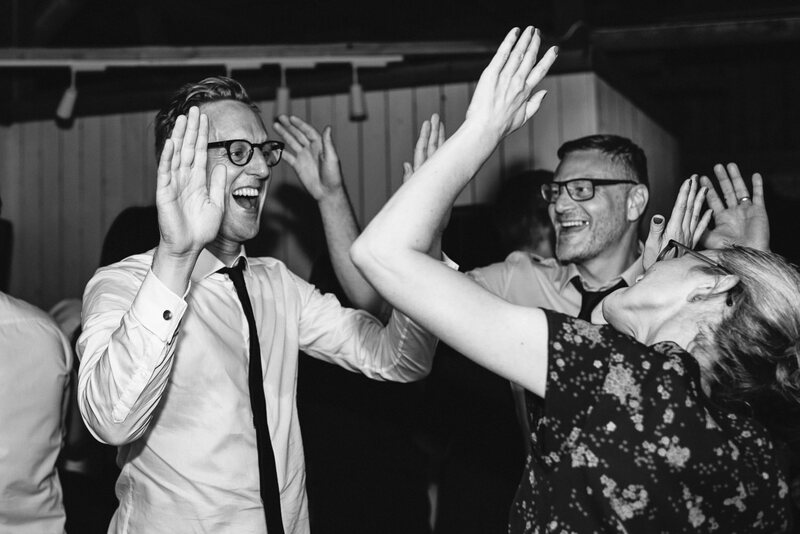 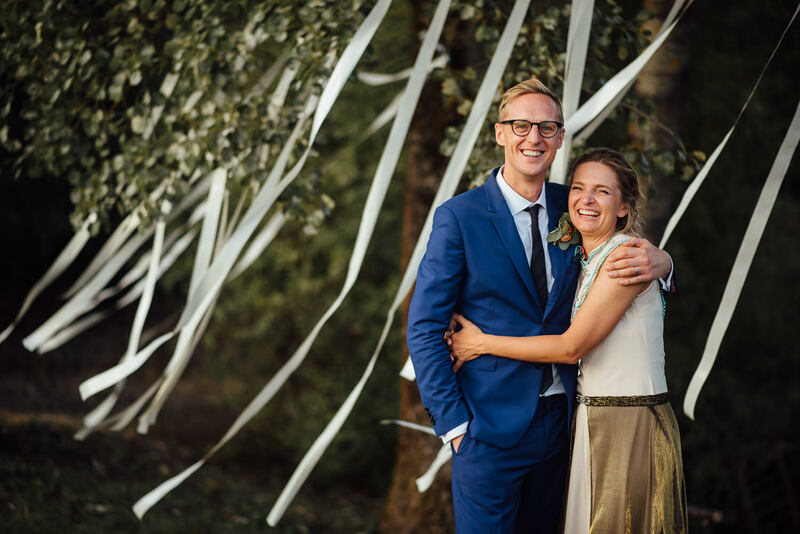 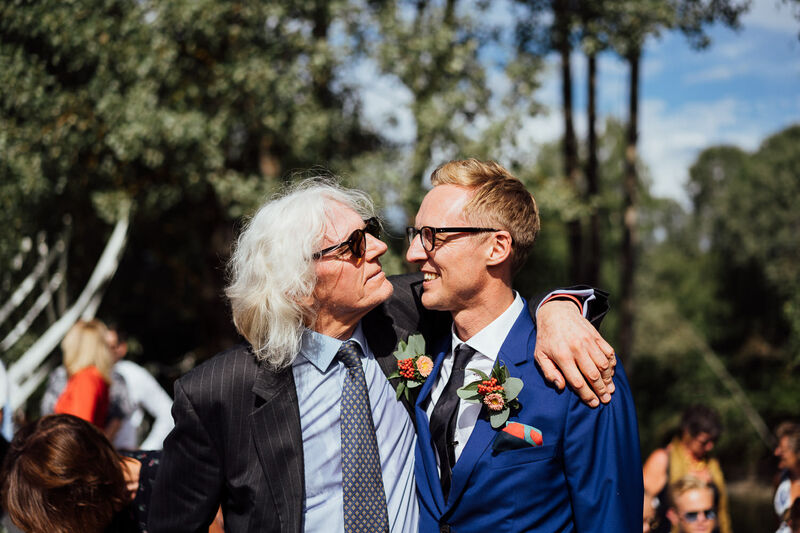 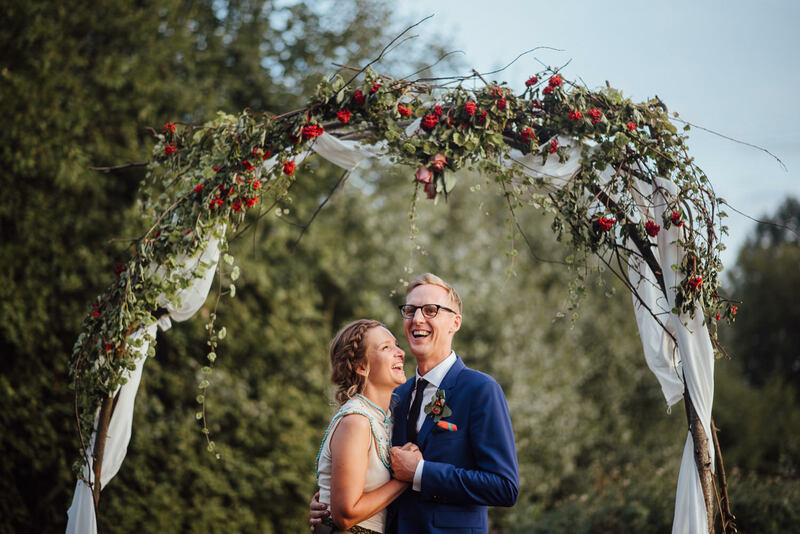 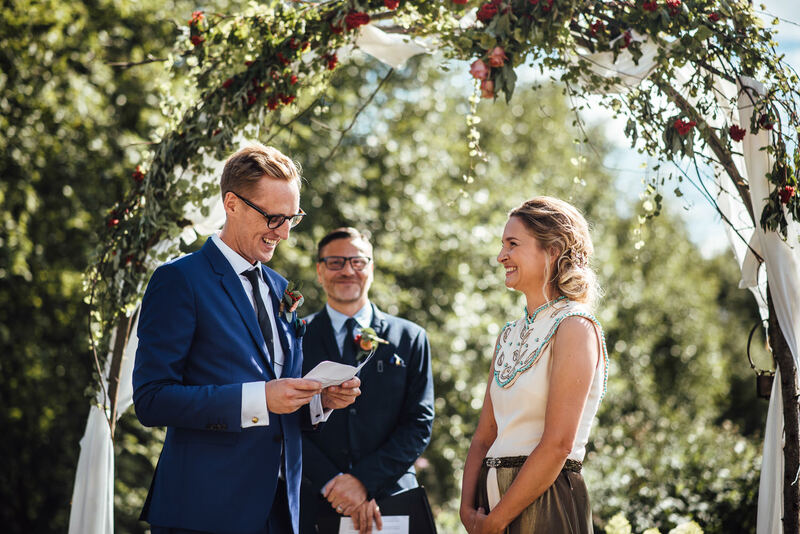 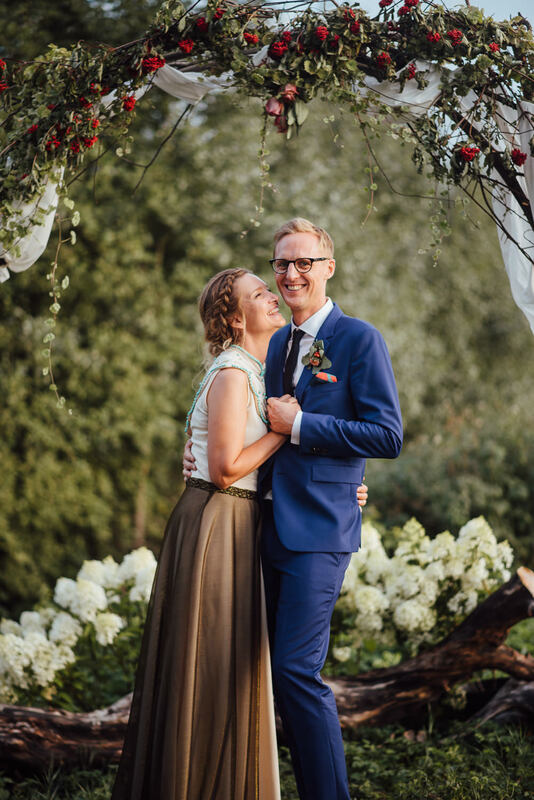 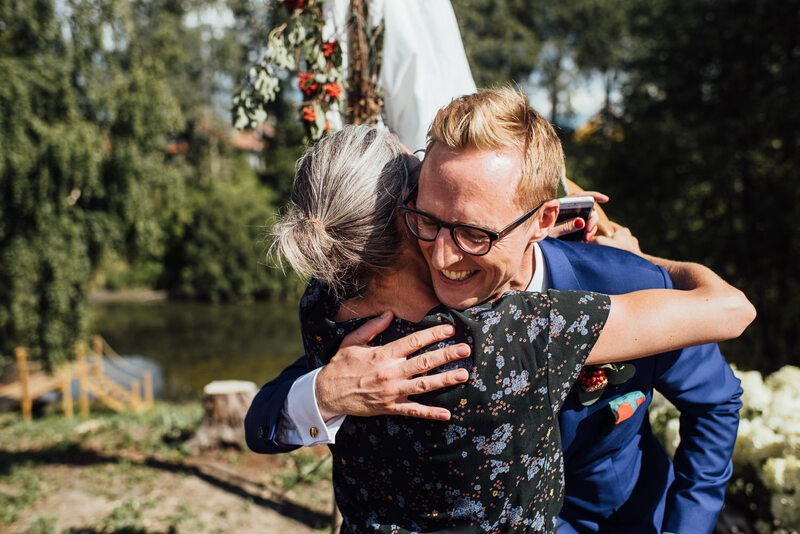 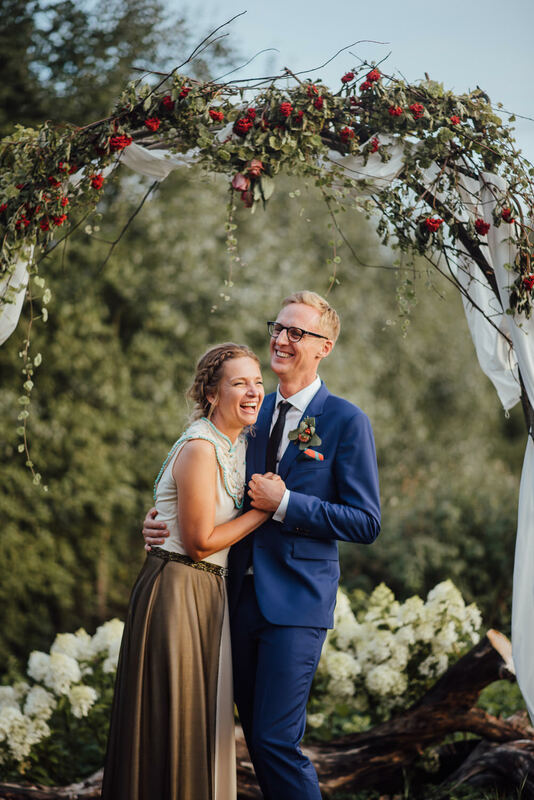 After 17 years together this creative couple decided to return to Hege’s hometown to finally make things official whilst having a jolly good knees up to celebrate! 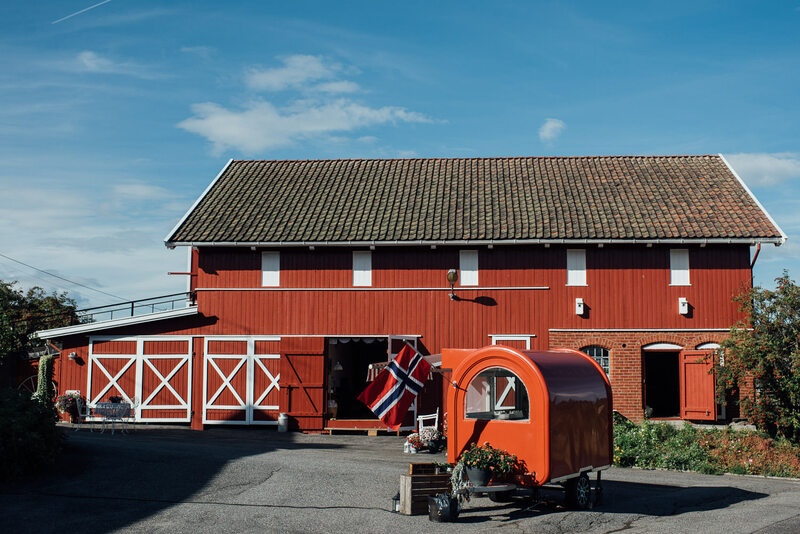 The quaint town of Hokksund, a short drive from Oslo played host to the weekends proceedings. 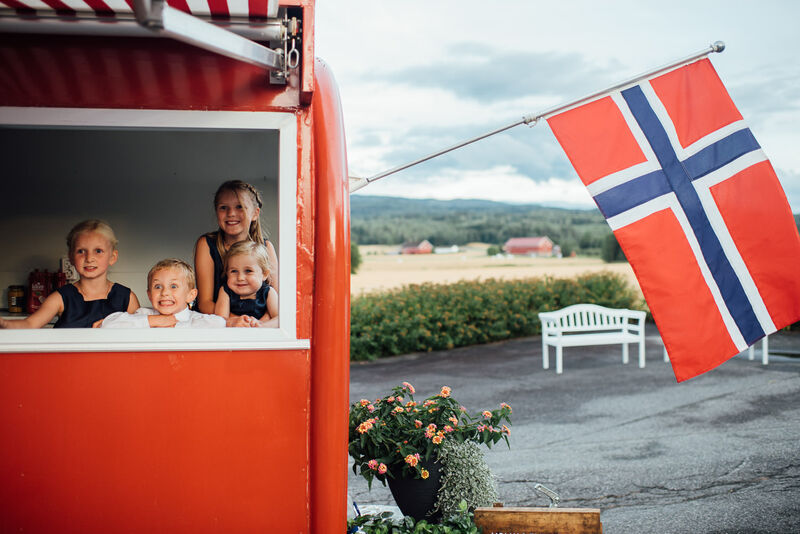 The locals are a really warm and friendly bunch (with such stunning scenery and exemplary waffles, who can blame them?!) 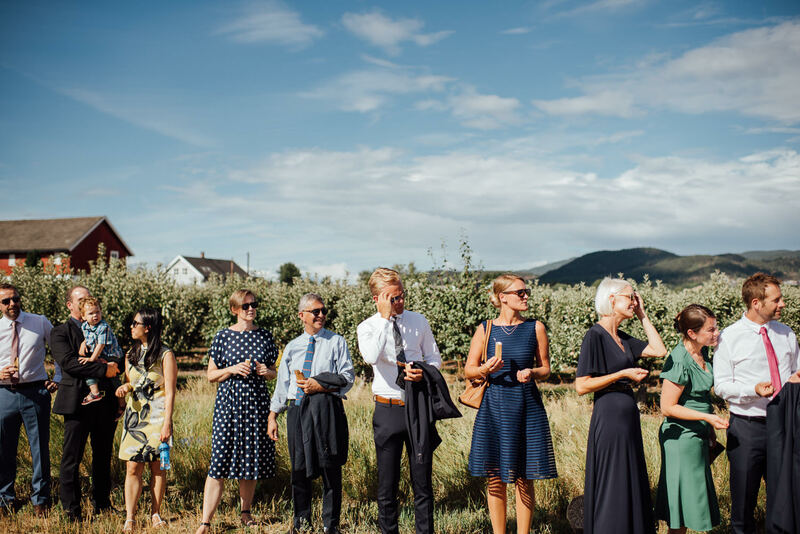 and so we always jump at the chance of travelling to photograph a wedding there! 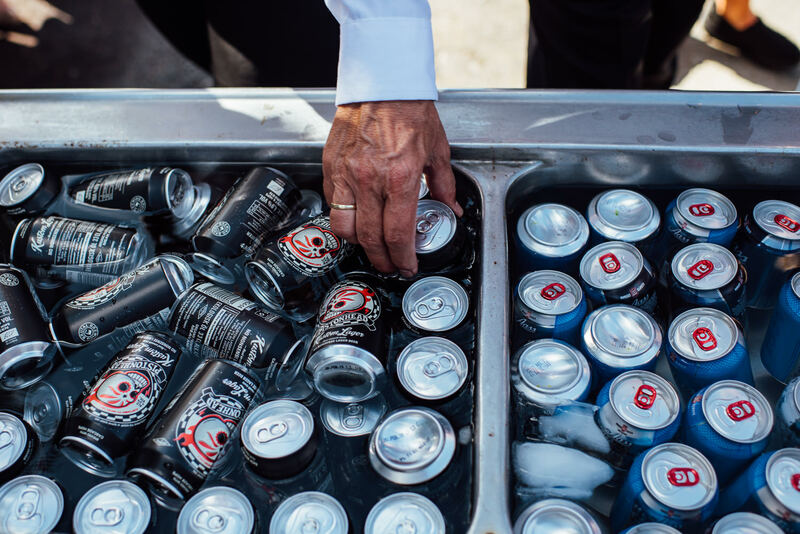 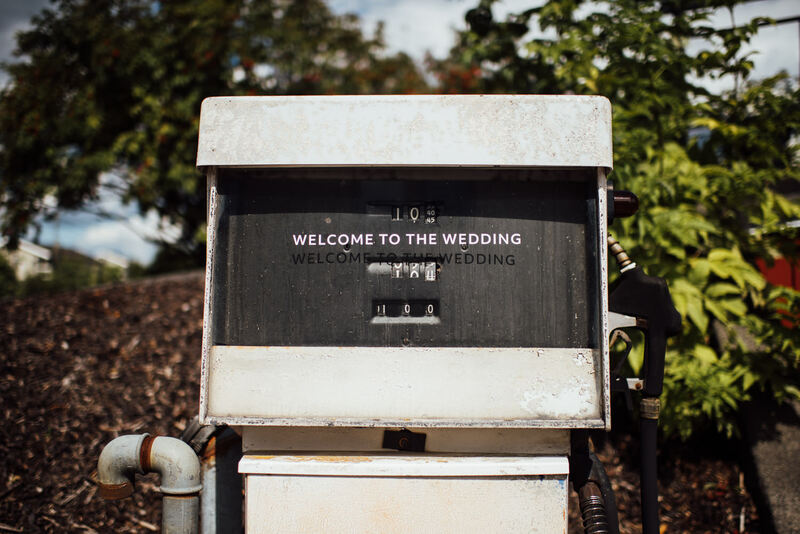 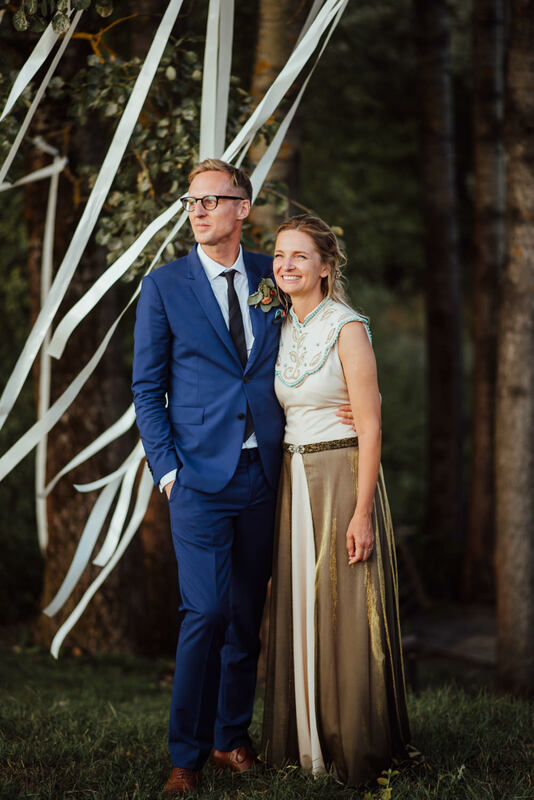 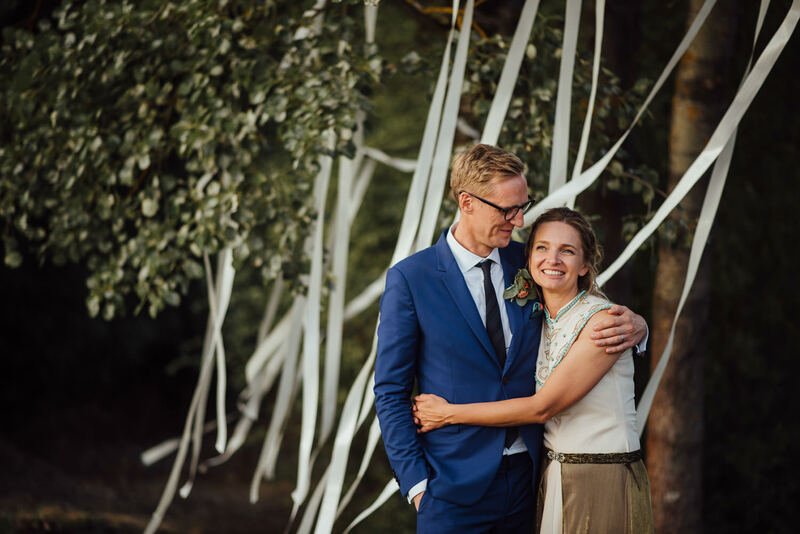 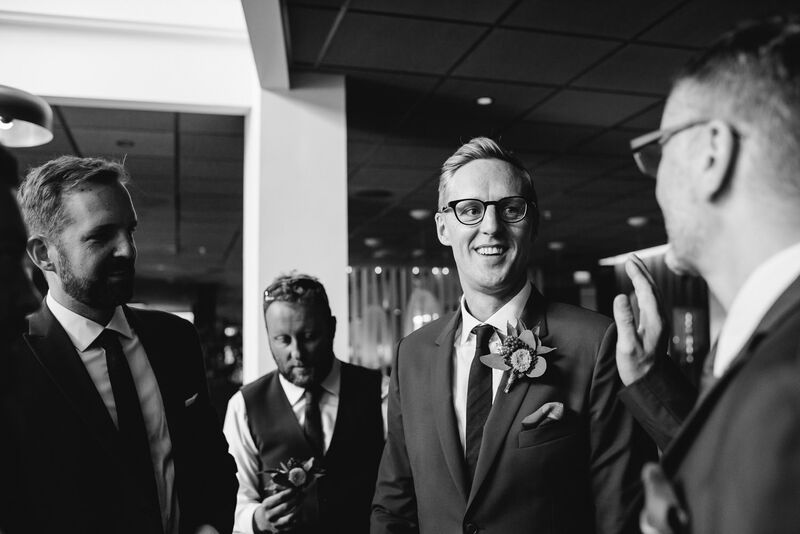 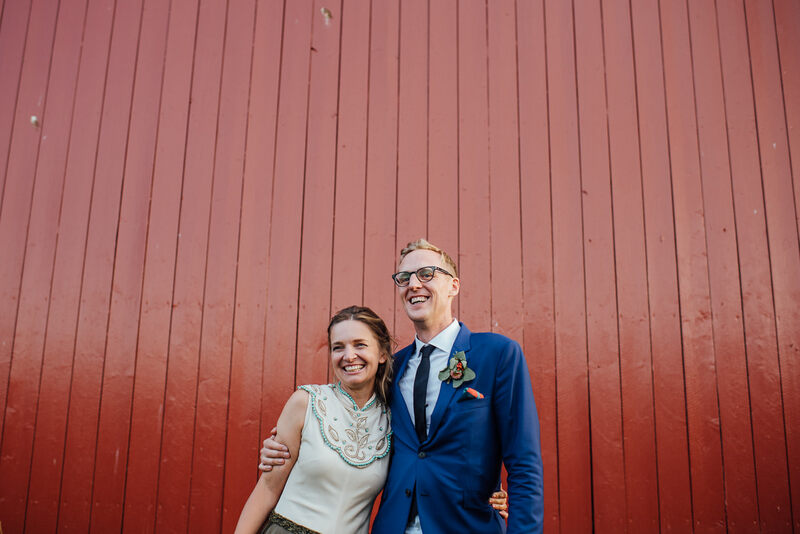 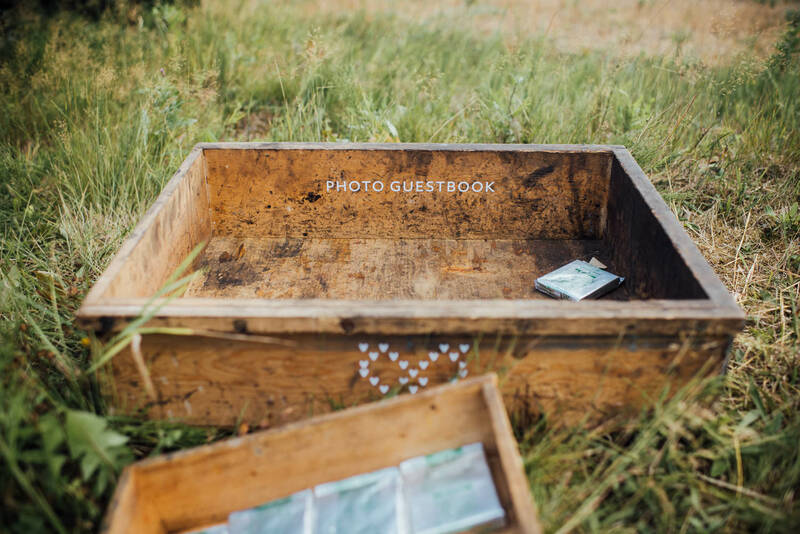 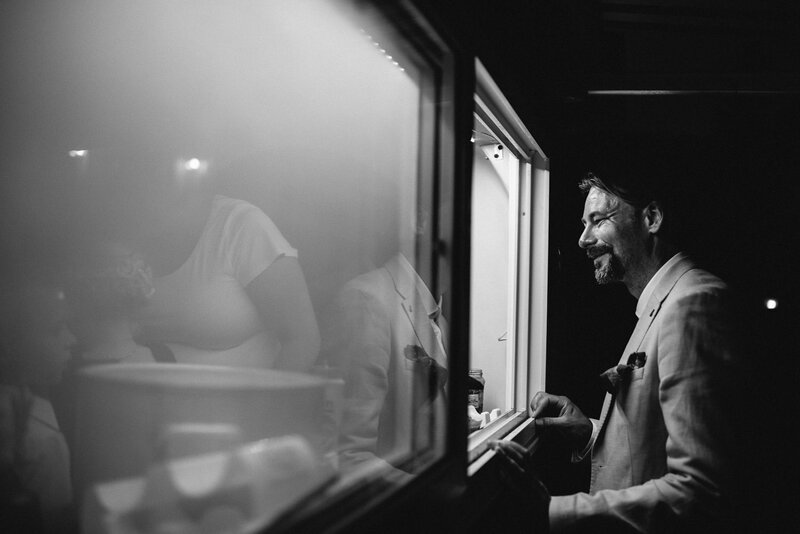 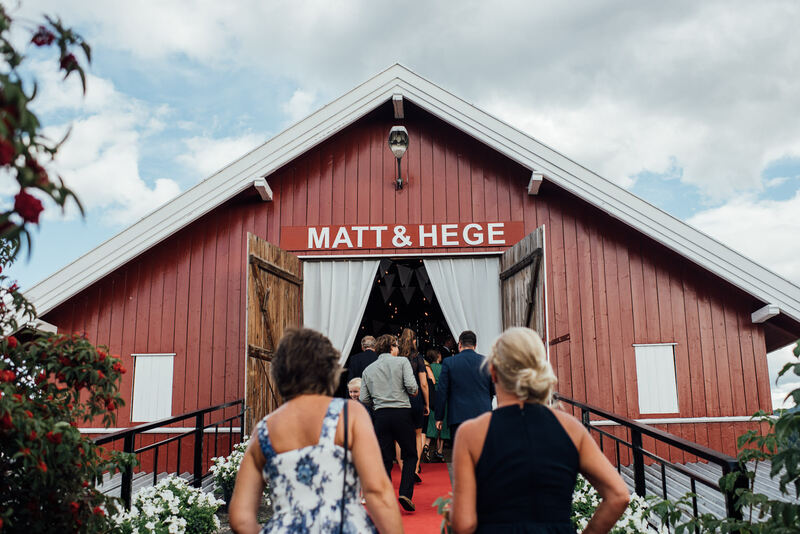 Matt and Hege’s week long venue preparations certainly paid off. 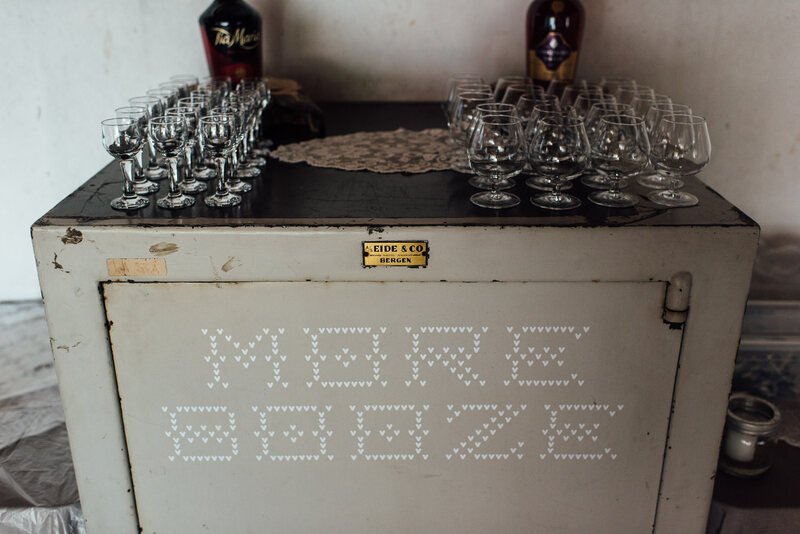 Every element was transformed with both typographic flair and true Scandinavian understatement. 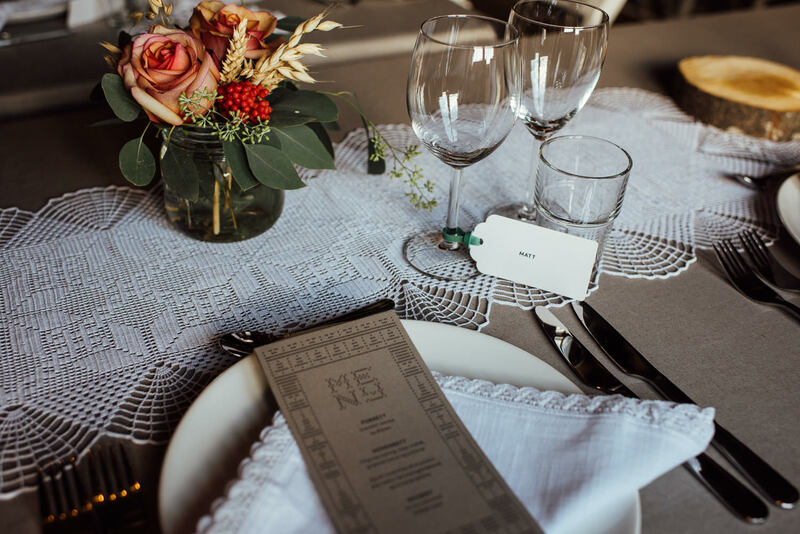 The crisp modern lines perfectly contrasting the quaint rustic setting to formulate what can only be described as a graphical nirvana! 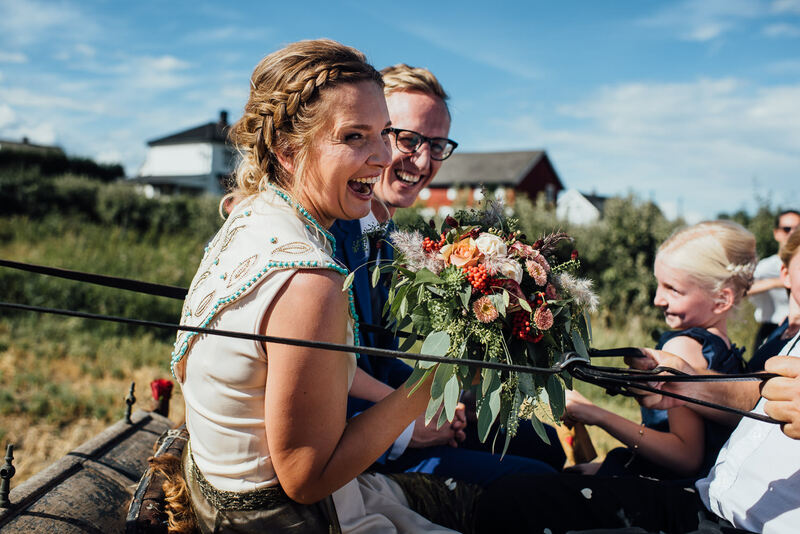 Hege looked simply magnificent as she arrived at the idyllic riverside ceremony atop a horse drawn carriage. 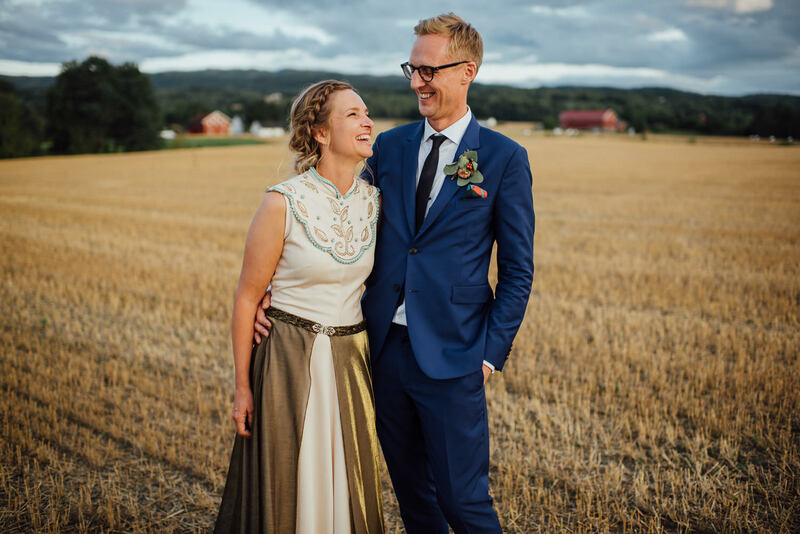 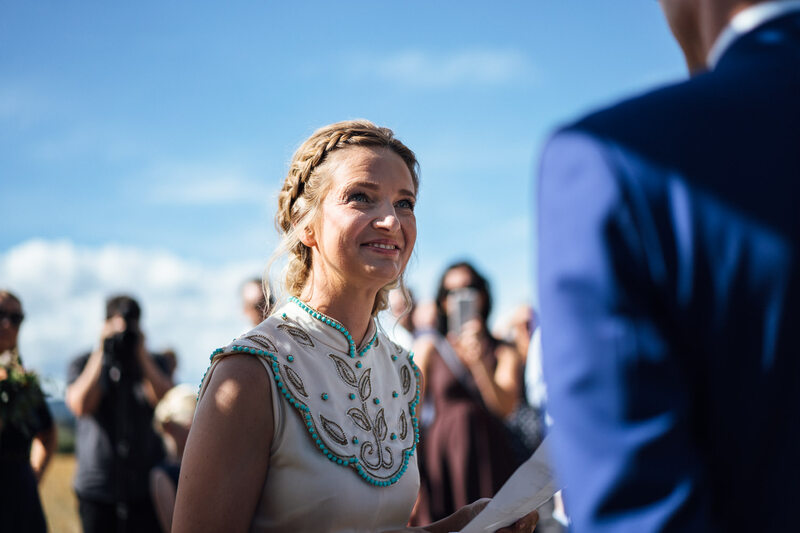 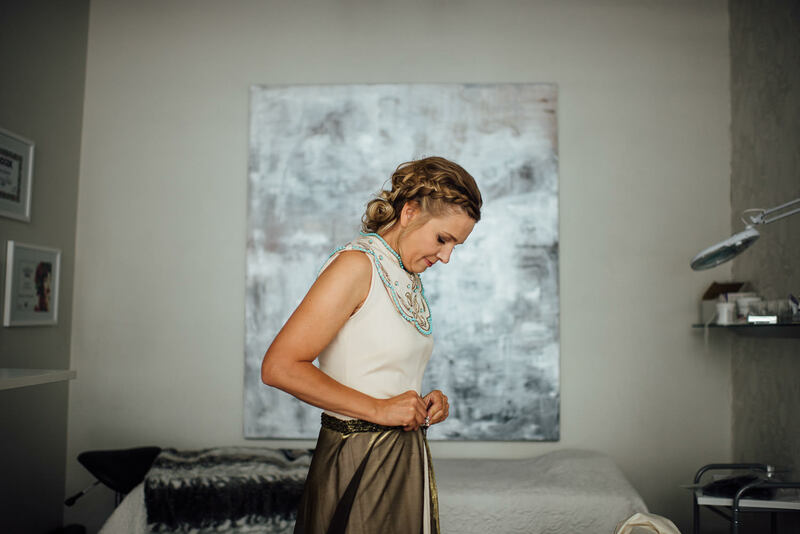 In a nod to her heritage and with typical Nordic resourcefulness she customised her Grandmother’s wedding dress to give it a contemporary feel and WOW did she pull it off! 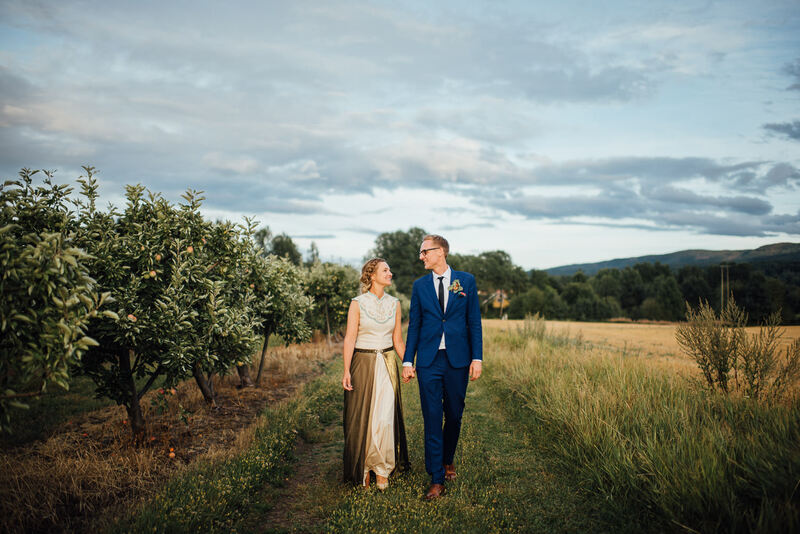 As the sun set over the distant hills, painting the timbers of the surrounding buildings in deeper and more magical reds, we headed out with Matt and Hege to soak up the last rays for a few portraits in the cornfields. 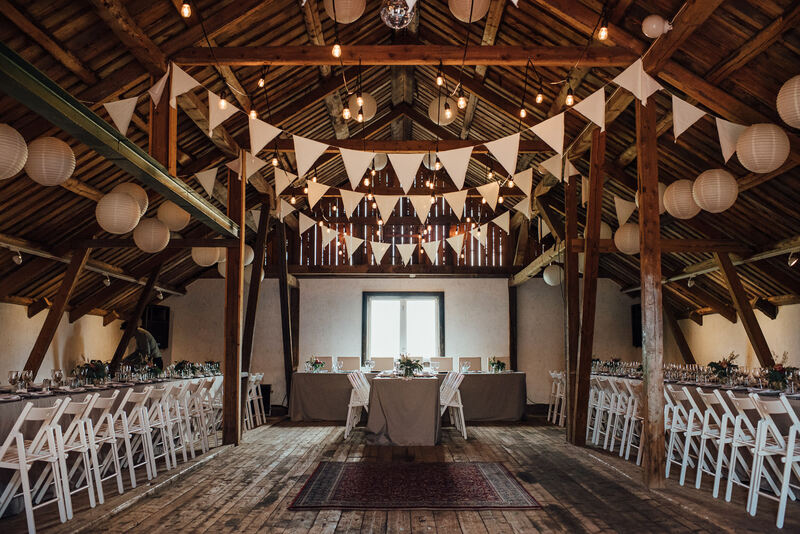 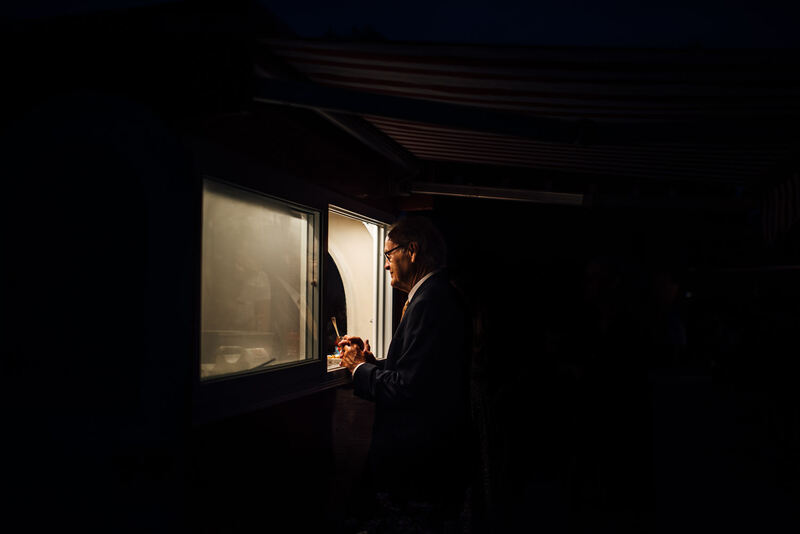 Upon our return the barn had been transformed into full on party mode with hotdogs and waffles arriving in perfect time to keep the guests fuelled on the dance floor. 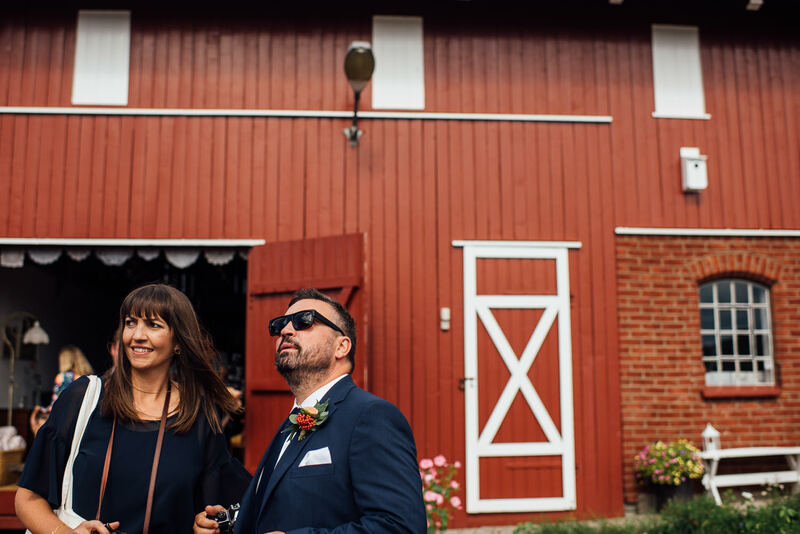 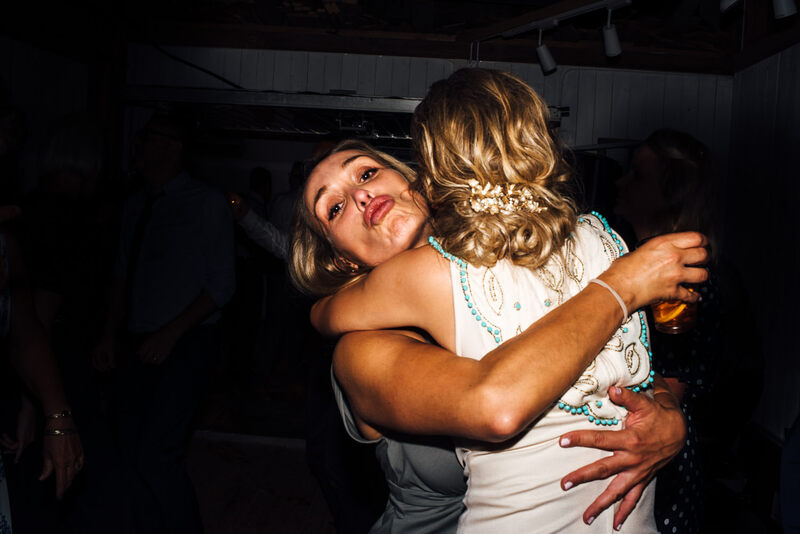 Thank you for having us along to photograph your awesome Norwegian barn wedding, we had the best time! 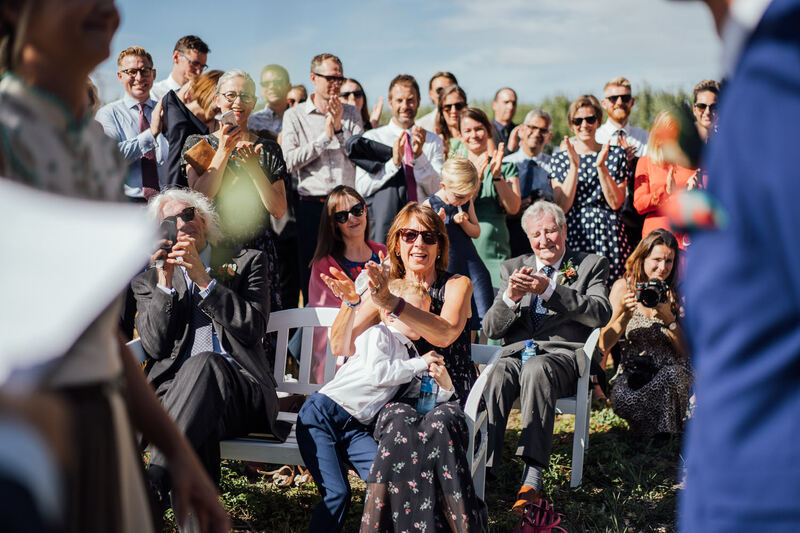 Here are a few highlights of a very special weekend!